National Institute of Oceanography and Fisheries, Inland Waters and Aquaculture Branch, Al-Qanater Al-Khairya Fish Research Station, Cairo, Egypt. 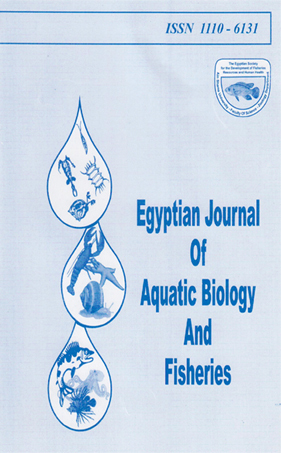 In the present study, the histological structures of the gills, liver, kidneys and gonads of Oreochromis niloticus, Tilapia zillii and Synodoniis schall from El-Salam canal were studied for a period extending from spring 2000 to winter 2001 (4 successive seasons). Several histopathological changes were observed in the gills, liver, kidneys and gonads of the studied fish during the four seasons.In the gills, proliferative changes in the epithelium of gill filaments and secondary lamellae, degenerative and necrotic changes in gill filaments, separation of the epithelium of the secondary lamellae from the lamellar supporting cells in gill filaments, intravascular haemolysis and dilation in the blood vessels of gill filaments, haemorrhage between gill filaments, edema in secondary lamellae and mucus accumulation between gill filaments were seen.In the liver, vacuoiar degeneration, focal areas of coagulative necrosis, focal areas of necrosis, destruction of hepatoportal blood vessels and haemorrhage between the hepatocytes were observed. Besides, intravascular haemolysis and dilation were seen in hepatic and hepatoportal blood vessels. Also, dilation and congestion were noticed in blood sinusoids.In the kidneys, the histopathological changes included vacuoiar degeneration in the epithelium of renal tubules, focal areas of necrosis between the renal tubules, depletion in the haemopoietic areas, haemolysis between the renal tubules and edema in Bowman's capsules. Moreover, intravascular haemolysis in renal blood vessels and over population of glomeruli were observed.